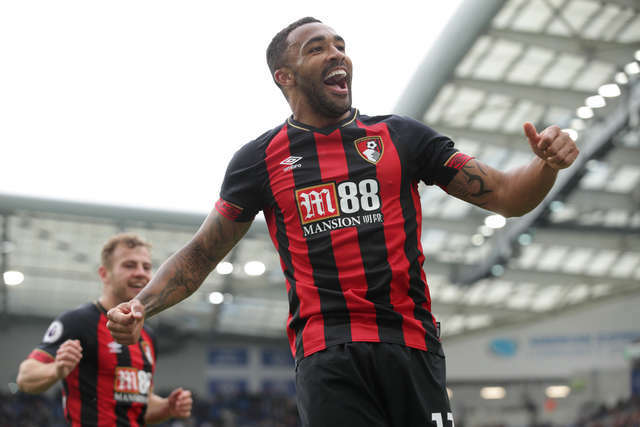 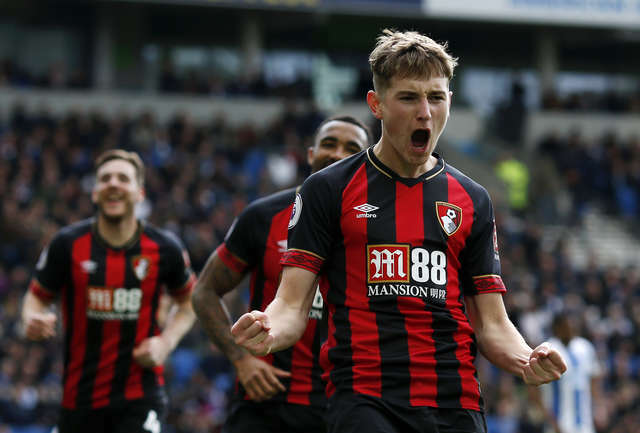 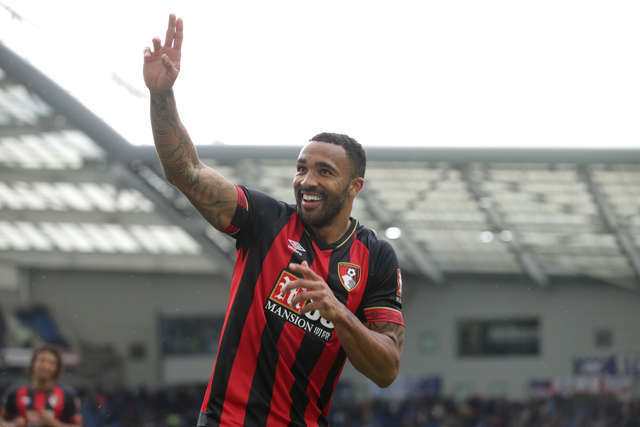 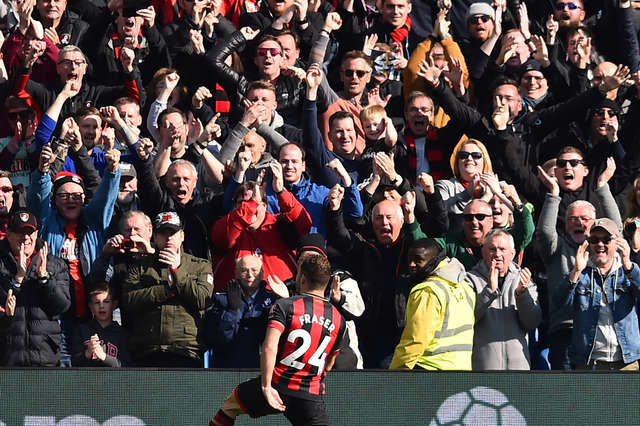 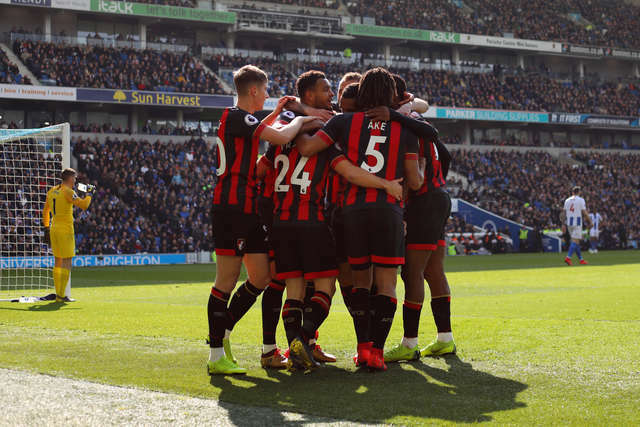 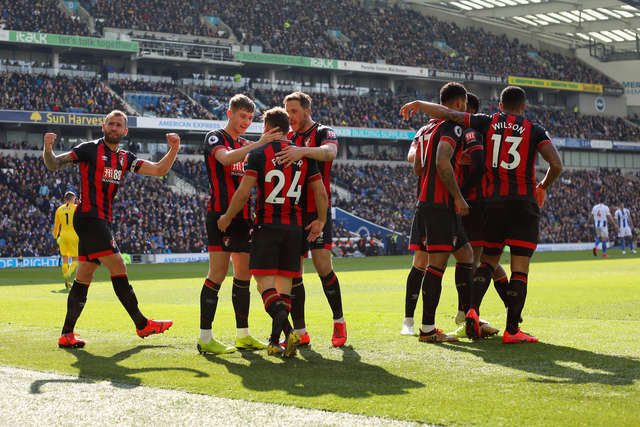 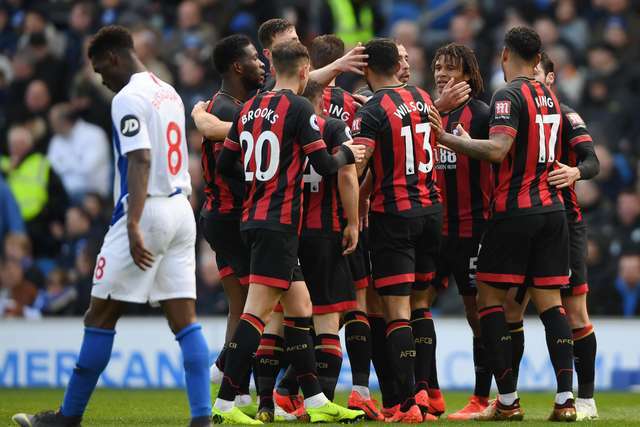 AFC Bournemouth returned to form and came close to confirming their Premier League safety as they routed Brighton & Hove Albion in a 5-0 win at the Amex. 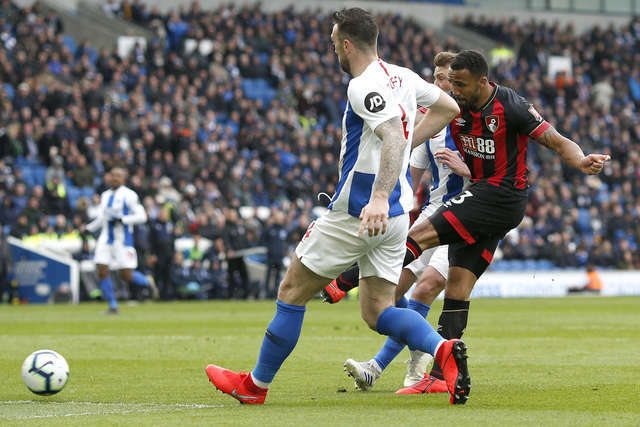 Dan Gosling's patiently-taken strike inside the box - the midfielder's first of the season - just past the half hour put visiting noses in front and the Cherries would hold their lead to half time. 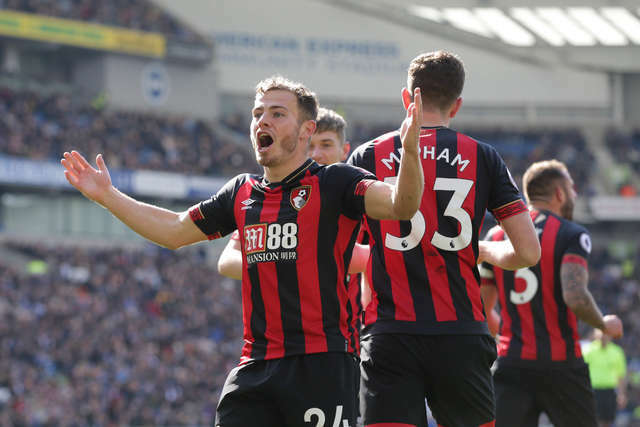 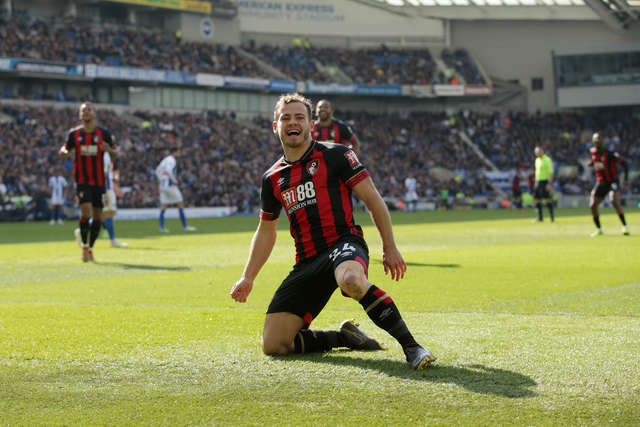 After the break things got better and better for the away side, Ryan Fraser dispatching a beautifully-curving shot into the top corner 55 minutes in, with the Seagulls being dealt a further blow when Anthony Knockaert was dismissed for a dangerous challenge. 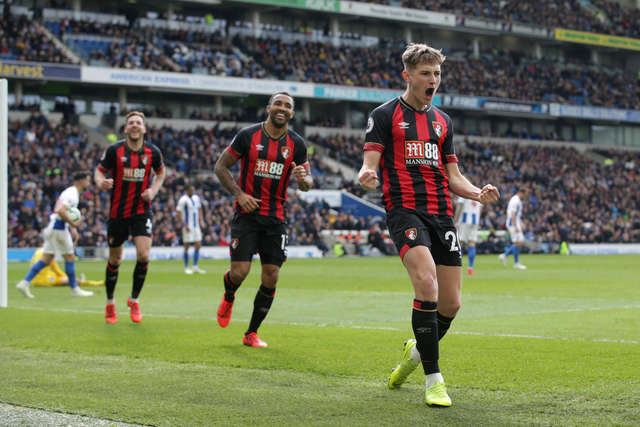 David Brooks netted a third after another classic Cherries move, exchanging passes with Fraser before slotting home, Callum Wilson placed a cherry on the cake as he added a fourth, Bournemouth showing no mercy as the afternoon went from strength to strength. 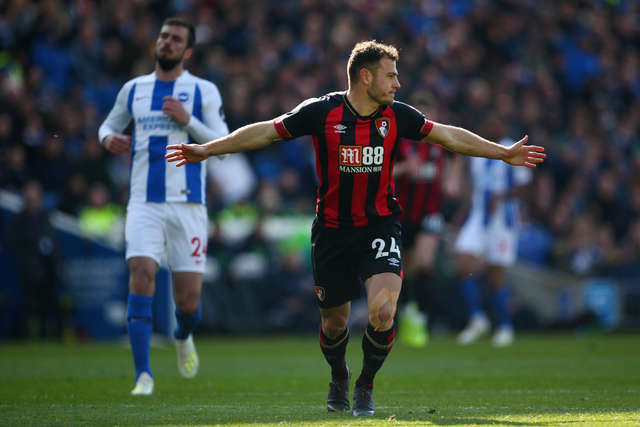 There was even time for a late fifth as Jefferson Lerma drove forwards, played square to Brooks who in turn found substitute Junior Stanislas, the midfielder calmly making it five on a glorious away day for Bournemouth. 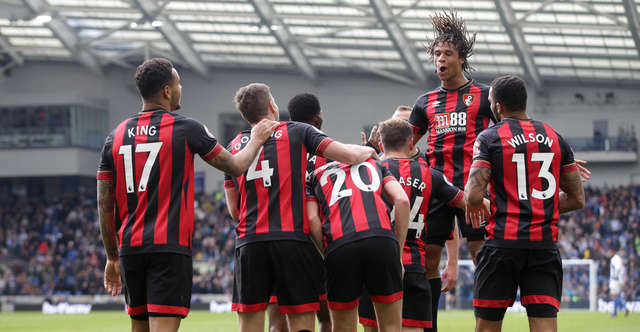 Steve Cook was a welcome returnee to the side, taking the captain's armband as the Cherries maintained their back four, but with Nathan Ake stationed at left-back from the off in the absence of Charlie Daniels and Diego Rico. 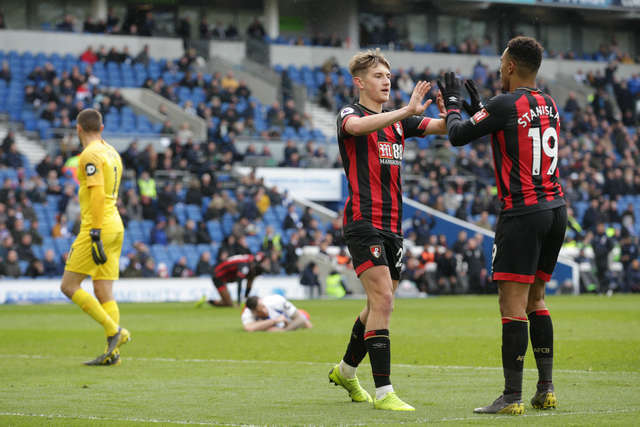 On a day rapidly-changing weather, the sunshine had been replaced by spots of rain as the two teams got going in West Sussex, with the Cherries creating the first real chance when Joshua King fed the ball wide for Fraser, the Norwegian bolting into the area for the inswinging return but was unable to make a true enough connection to convert his volley from eight yards out. 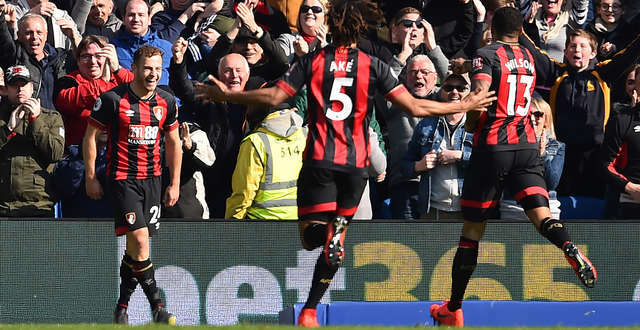 Cook, Chris Mepham and Ake all were faced with big headed clearances as the hosts went direct with a series of crosses and corners, the Cherries defence holding firm. 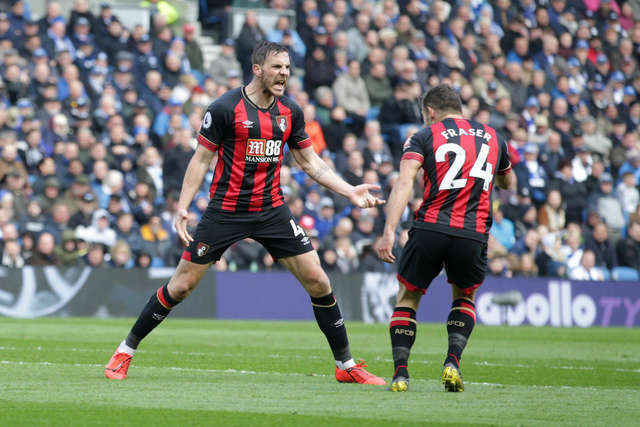 The game was open with both sides streaming forwards given half the chance, and on 32 minutes brilliant Cherries attacking move saw them open the scoring. 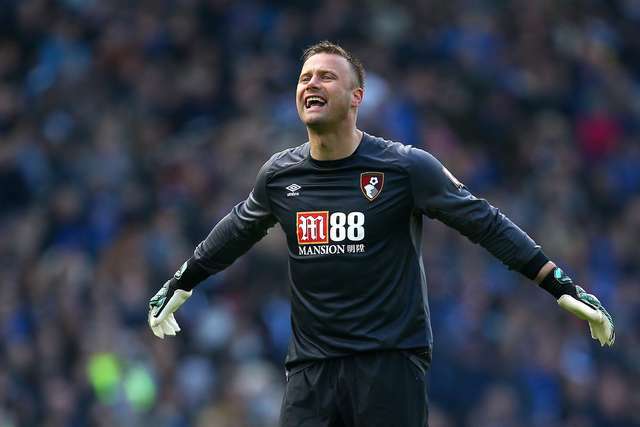 Adam Smith slid a ball into Gosling in the area, he was alert to spot Wilson to his right, the England striker smartly returning the ball with Gosling steadying himself before passing into the net from ten yards, Mat Ryan getting a hand but not able to keep out the low effort. 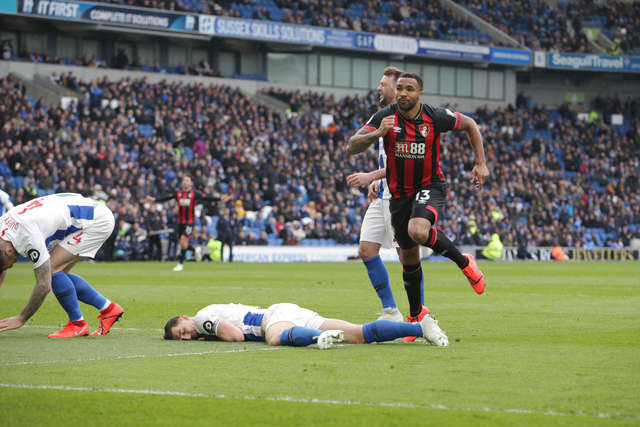 The Amex was audibly shaken by the concession and though the hosts committed men forwards ahead of the break Ryan was the busier 'keeper, and had to get down to save and hold on to Cook's dipping effort from 25 yards. 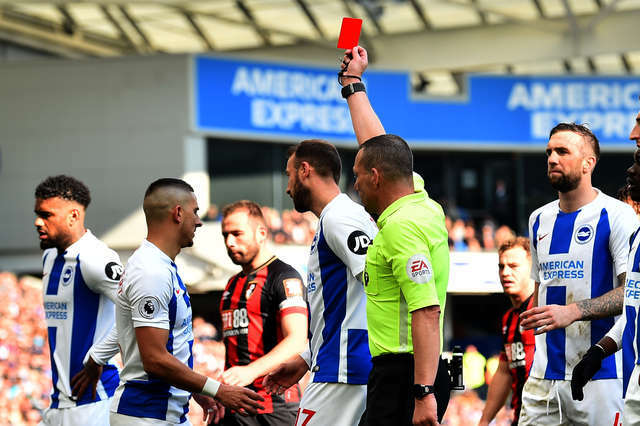 Following the restart and with no changes for either side, Mepham and home striker Florin Andone soon received a yellow each for an altercation off the ball, all soon forgotten as Fraser doubled the lead with a delightful goal. 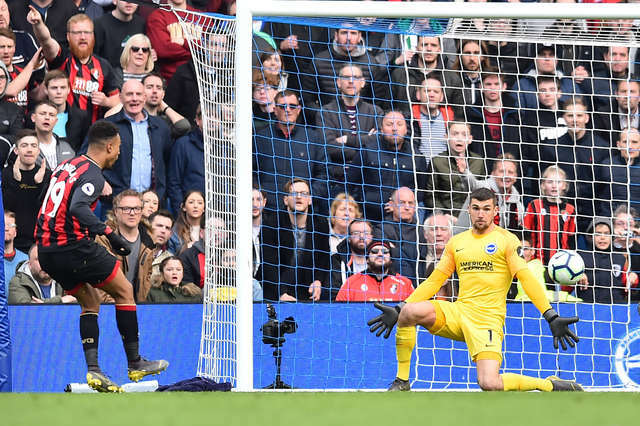 Wilson streamed forwards and played a ball towards King that was dummied, Fraser behind him to control and swerve a terrific shot in from outside the box over the 'keeper into the top corner. 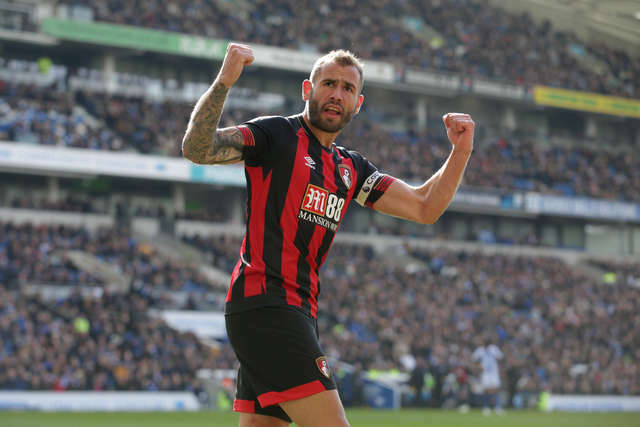 Confidence restored within the Bournemouth ranks, King, instrumental in the second, was played into space in the area by Fraser. 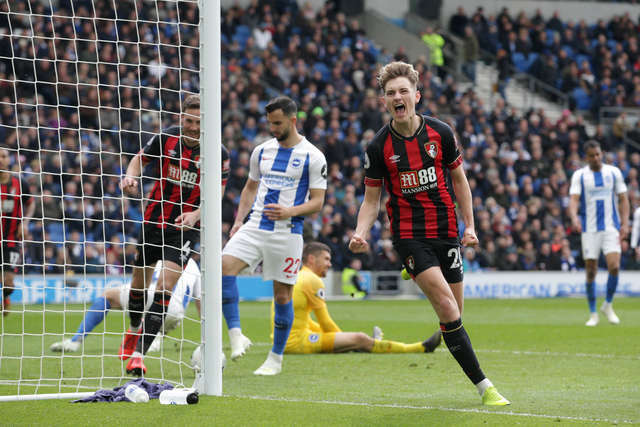 He looked to pick his spot from the corner of the box and very nearly found it, his slow-motion swirling finishing dropping just the wrong side of the far post. 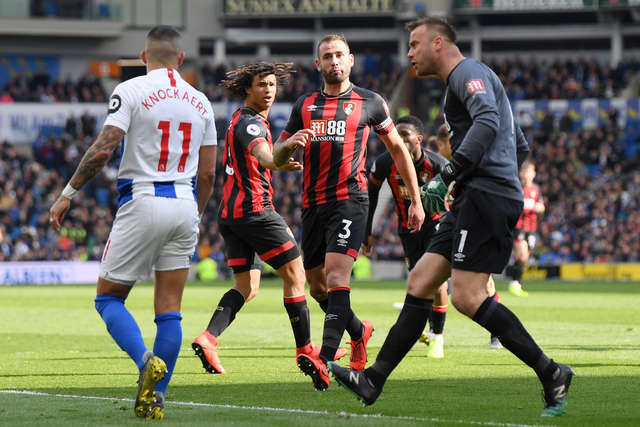 In the 67th minute Brighton pushed forwards, with Jurgen Locadia almost finding substitute Glenn Murray but instead as Adam Smith ran away towards the wing, Knockaert recklessly took out the Cherries man, with absolutely no attempt to play the ball, and was shown a straight red card by referee Kevin Friend for his indiscretions. 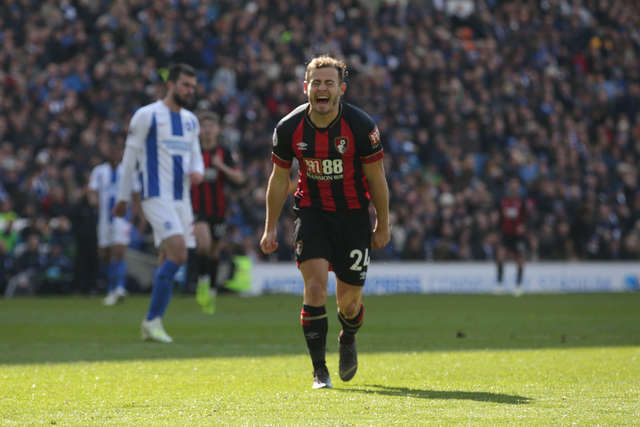 The wind in Bournemouth sails, Brooks fired in a third as he dribbled from halfway, played a give and go with Fraser, giving Ryan the eyes before putting the ball beyond him, then charging towards the joyous away support to celebrate. 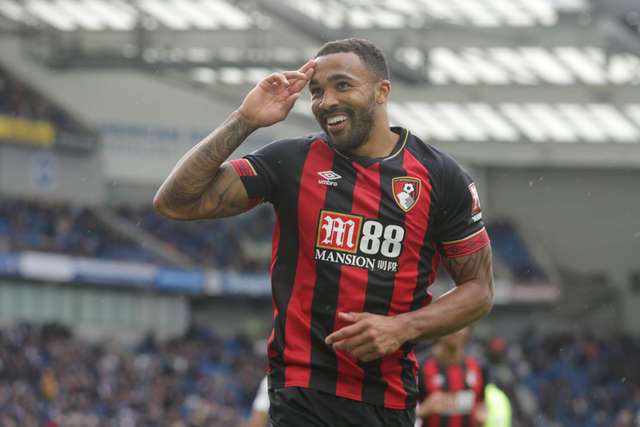 Desperate to get in on the act, Wilson inked his name on the score sheet with his side's fourth as the Cherries continued to maraud through the gaping Brighton defence. 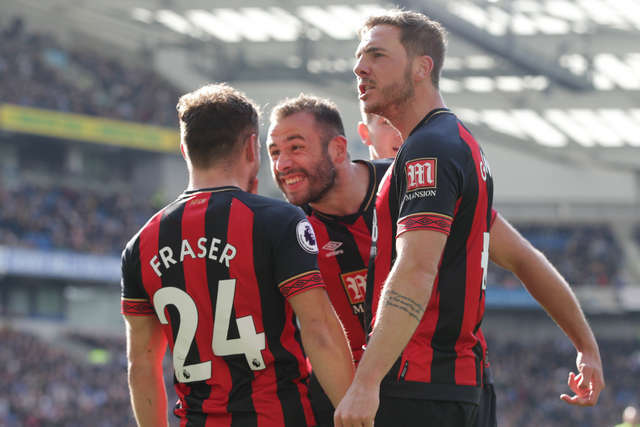 Fraser was the architect once more, feeding his team-mate who turned sharply and struck low across goal in the area and into the bottom corner. 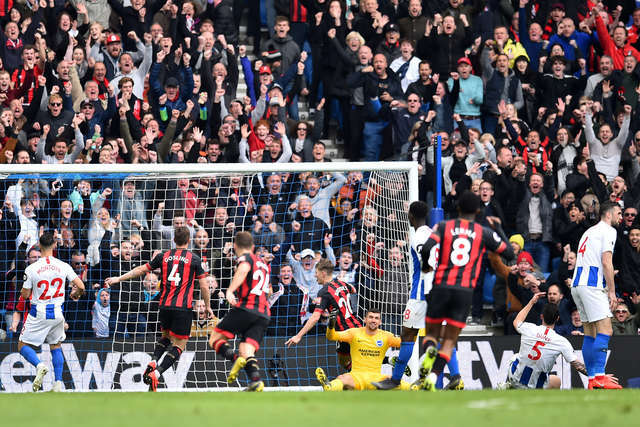 Substitute Dominic Solanke came close to his first goal in red and black, his low shot repelled by Ryan, but there were to be more cheers for the away fans who got the fifth goal they were singing for when Stanislas slotted home in added time. 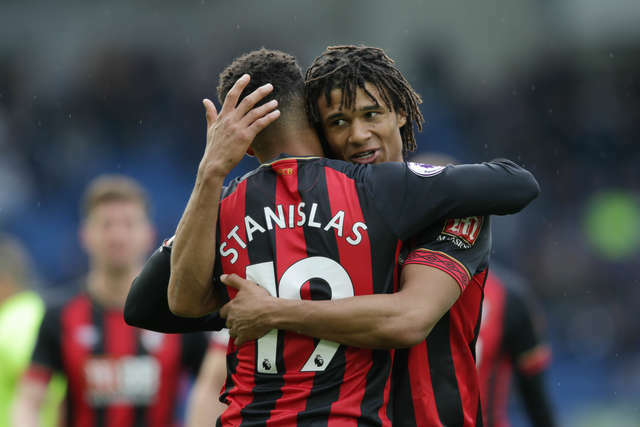 Brooks waltzed his way through again getting into a one on one position, but he unselfishly squared the ball for Stanislas to slot in clinically. 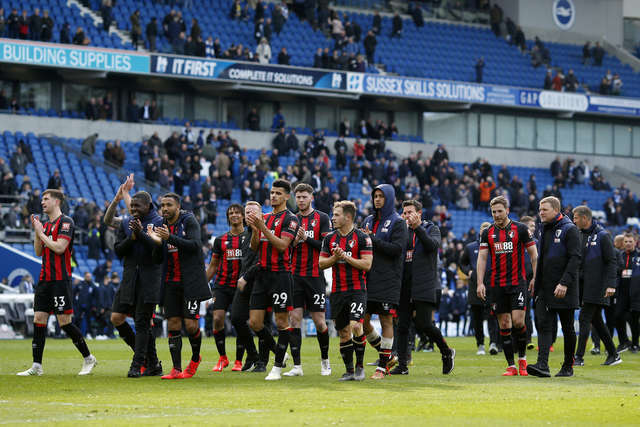 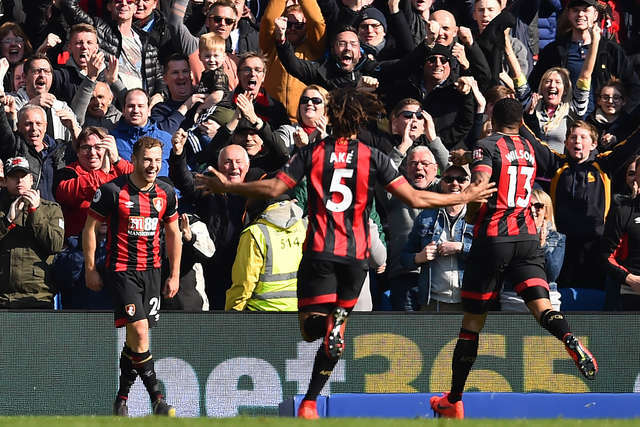 Having beaten Brighton, The Cherries will be cheering on the Seagulls on Tuesday night, if Chris Hughton's side can beat Cardiff it will confirm Bournemouth's place in the Premier League for 2019/20. 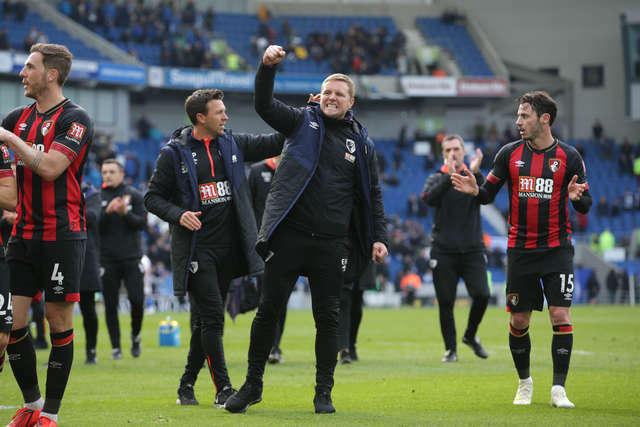 Manager Eddie Howe spoke of taking his side back to basics after the disappointment of back-to-back losses, and from the start his side looked sharper than in recent weeks, and quickly willing to use their pace going forwards. 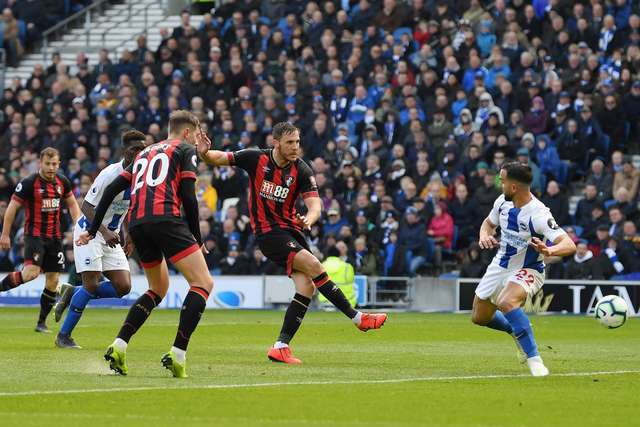 The defence absorbed the Brighton forward thrusts and that allowed for increased space in the opposite direction, as shown by the well-worked opener. 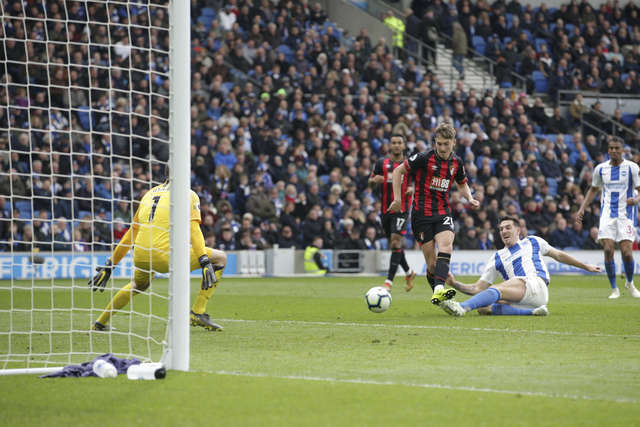 The second, third, fourth and fifth goals all displaying the trademark flowing football that has brought and kept the Cherries at the Premier League top table. 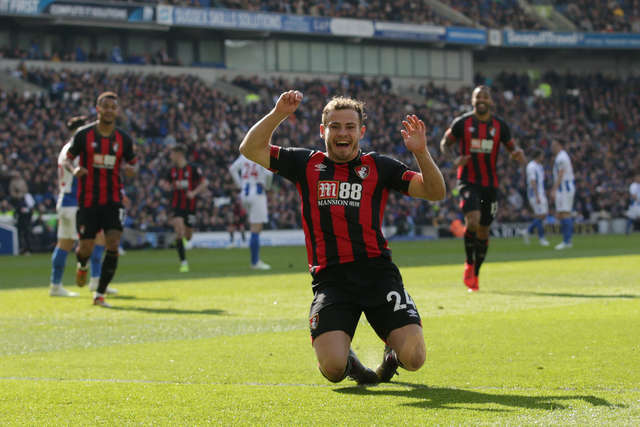 While the visiting attackers' return to form will rightly win the headlines, the return of Cook to the Bournemouth backline was every bit as important a part of the Cherries' wonderful away afternoon. 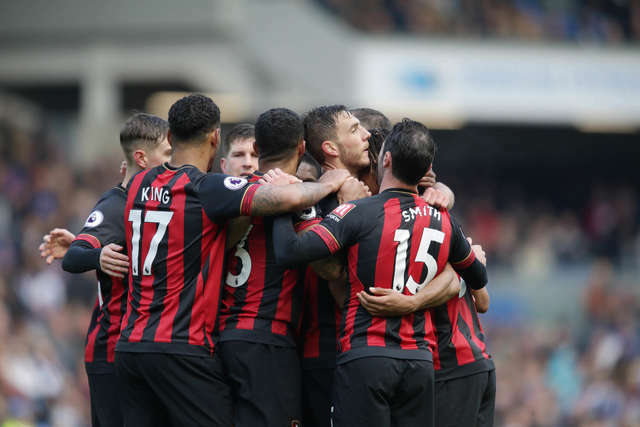 In the first half the returning captain's aerial dominance and reassuring presence anchored the defence while in the second half his leadership ensured the side never looked like letting go of their advantage, also setting a platform for his team-mates to add to the scoreline. 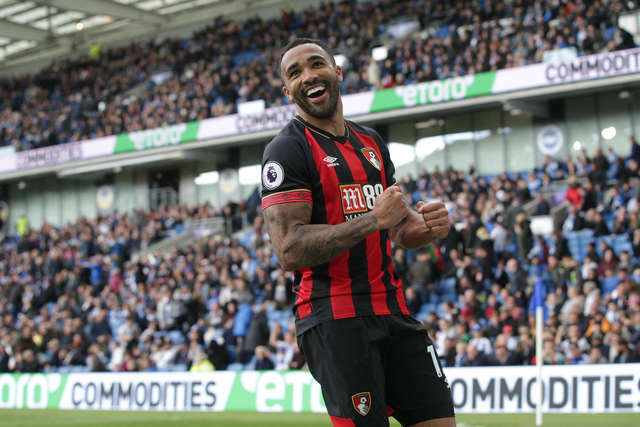 He received a superb ovation from the travelling faithful when he was substituted in the 85th minute, his importance to the team not understated by the fans in the away end.